Regularly featured on the menus of the best steakhouses and seaside bistros, nothing is quite as impressive as steak and lobster. 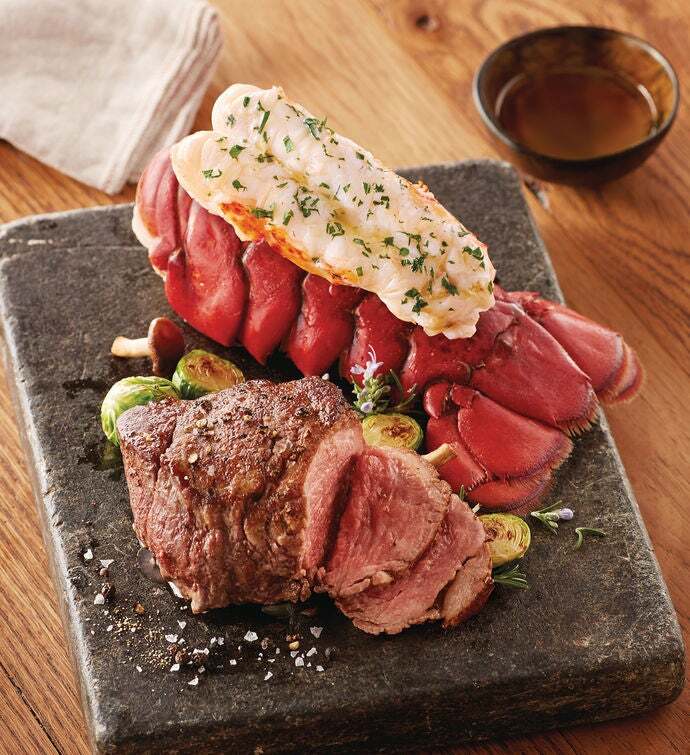 Our version of this popular duo features Stock Yards® expertly aged USDA Choice Filet Mignon and snow-white, cold-water Lobster Tail. Make any meal a special occasion with this classic Surf and Turf.